The Basics: It is the not too distant future where cyber enhancements are as commonplace as wearing glasses. An elite anti-terrorism task force, called Section 9, is committed to hunting down the worst of the world’s cyberterrorists. Leading this group is The Major, a fully cybernetic being with a human “ghost” (her memories/personality has been transplanted into a cyber brain). Assisting The Major is Batou, her strength and vision enhanced second in command and a bunch of other characters (the movie does little to make them memorable). The team is headed by Aramaki, who answers directly to the government, but also has to juggle the wishes of Hanka Robotics, as they are the company who basically “created” The Major. While investigating an attack on a Hanka business conference, Section 9 comes into contact with Kuze – a terrorist who is targeting Hanka consultants and hacking both mechanical and augmented human beings. Once in contact with Kuze, The Major learns that she may not be who she thinks she is. She is experiencing what her doctor refers to as “glitches”, but are actually wiped memories trying to make their way back to her conscience. Section 9 must now fight to find out who the real terrorists are, while The Major fights to regain her memories and remember her past. The Good: This movie is visually stunning. I wanted to look everywhere at once. The effects are quite amazing and they look seamless. If you are at all interested in this movie, I recommend seeing it on the big screen, just for the visuals. 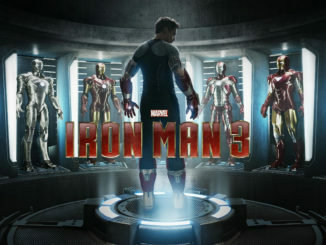 It is also the rare film that is enhanced by seeing it in 3D. The filmmakers did an excellent job translating the look and feel of the original anime to live action. There are some scenes that are shot to mimic the anime, which was a very nice touch. The musical score was also wonderful, and that is saying something considering how iconic the anime’s score is. The soundtrack pays tribute to the original (you hear the original’s choral theme over the end credits), but is really great on its own. The visuals and the music are the best things about the movie. As for the acting, I enjoyed Takeshi Kitano as Aramaki and was very happy to see him get to be a badass. Also excellent is Michel Pitt as Kuze, though I wanted to see more of him. The visual effects on Kuze were amazing (Justice League – take a look at this to see how Cyborg should look!). I was surprised by how much I liked Pilou Asbaek as Batou (who is my favorite character of any anime); he brings boyishness to the character that isn’t in the anime. The animated Batou is still the best, but Asbaek is really good. Of the two characters written specifically for this movie, I preferred Juliet Binoche’s Dr. Oulet. Binoche is a terrific actress and does a good job here. You do believe she actually cares about her creation. Peter Ferdinando as Cutter quickly becomes just another corporate bad guy as the film progressed, but he was good in the part. The rest of the cast, with one exception, just isn’t given enough to do. This brings us to ‘the bad’. The Bad: The one exception is Scarlett Johansson. I’m judging her performance based solely on her acting – I’ll comment on her casting below. Since The Major is the main focus of the film, she is in almost every scene and there was something about Johansson’s performance that didn’t quite work for me. Maybe it was the way she walked. I get that she has a cybernetic body and, according to this storyline, a relatively new one – but it was almost a clichéd ‘robotic’. 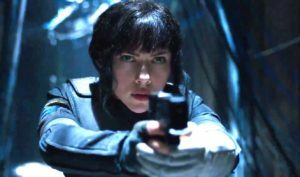 Johansson isn’t bad here; she’s just so deliberate in her portrayal, which is sad, since there are two scenes where she is excellent – the scene with Lia and the scene with Mrs. Kusanagi. In those two scenes she displays a subtlety that is lacking during the rest of her performance. As stated above the rest of the cast isn’t given enough to do. I understand that the majority of the character development for the members of Section 9 was done during the anime television series, where there was time to flesh them out. Here, they are simply background characters that are given maybe one scene with which to differentiate themselves. Togusa is the one with no augmentation, Ladriya is the snarky woman, Borma gets lots of augmentations, Ishikawa is good with computers, Saito….actually, I don’t think Saito had a line. It’s unfortunate that more couldn’t be done with the team, as they seemed to be an interesting cast. But that is the fault of the story, which brings us to ‘the ugly’. The Ugly: Minor spoilers ahead. I knew they would dumb the anime down. The anime is a work of philosophy as much as an action piece. The underlining question of what it is to be human is basically dismissed here in favor of being a somewhat generic action movie. Not that the action isn’t good, but it really isn’t enough to hold the movie above half a dozen other films that have come before it. It’s unfortunate that so much was made of the casting of Johansson as The Major, since that seemed to dictate the direction the story went. 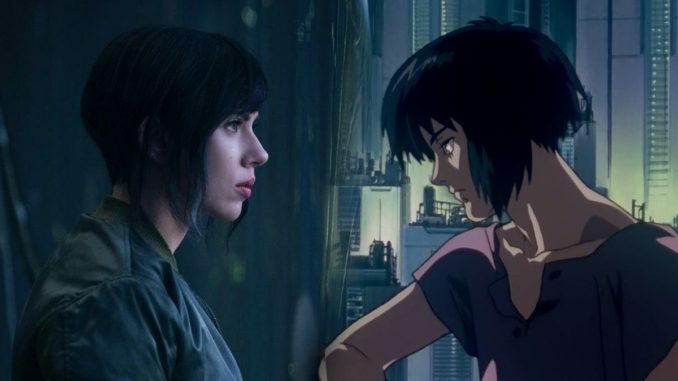 The writers felt the need to explain why a white woman was in the role, rather than just say “this is a body, this is not Motoko, it’s just a body”. That’s what made the anime so fantastic. You could put Motoko into any body and she would still be The Major. Here, we have a basic amnesiac story and it isn’t nearly as interesting as a quest to find out what makes a human, human. If they had focused less on the nationality of the woman they had cast in the role and just accepted that she was The Major, they could have devoted a bit more time to characters that were delegated to scenery. It’s the story that fails the most in the movie and that is sad as the story is what made the original anime so spectacular. I really wanted this movie to be spectacular. I’m sad that it is merely a passably good action film. 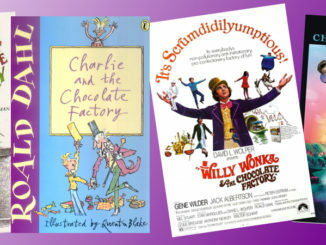 Carol is another member of Guardians of the Geekery (official podcast of The Charlotte Geeks) and is a voracious reader and lover of geekery. She helped launch and run The Carolina Renaissance Festival for over 14 years (and the sister festival in Arizona) and was the programming director for ConCarolinas for another 14 years. She helps out faithfully with our own Geek Gala - often traveling to various cons to man tables and host parties.